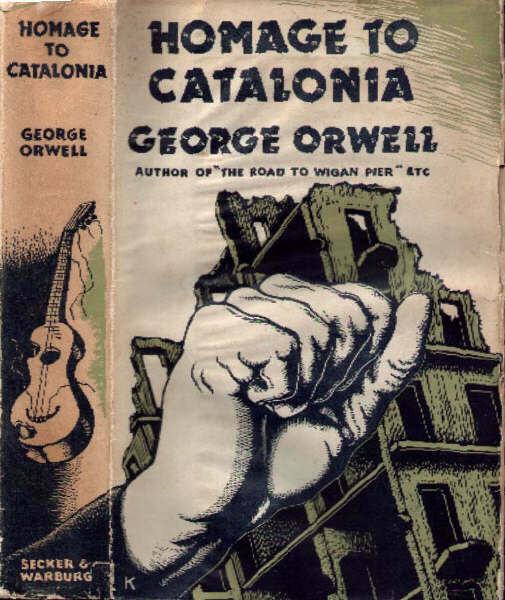 This last week I carefully read George Orwell’s famous work Homage to Catalonia (1938). 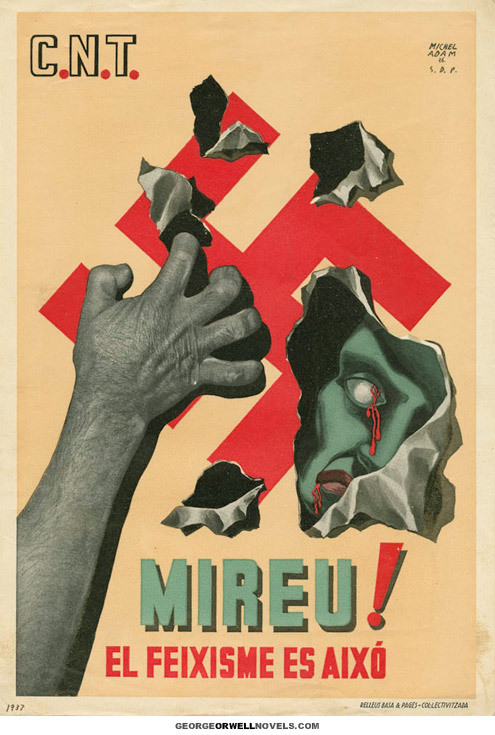 It is a confusing work, though much admired by anarchists and Trotskyists for its testimony as to Orwell’s experiences during the Spanish Civil War, in which he witnessed the destruction of POUM by Stalinists, leading him to denounce all bourgeois influences as fascist, and also to complain about non-peasants and non-laborers as “money-grabbing.” He went on to denounce journalists and Communists for betraying the facts of the Spanish Civil War. 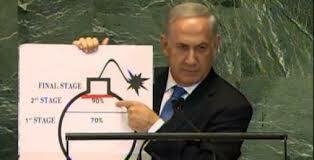 On September 27, 2012, Benjamin Netanyahu addressed the United Nations General Assembly. Few of the press reports I have seen mention the beginning of his speech, in which he explained global conflict as a fight to the death between modernity and medievalism. In the process, he highlighted the Enlightenment elevation of science, technology, and medicine, fields in which Israel excelled, but which threatened their hostile neighbors who worshipped death and promoted unquestioning obedience to authority (i.e., to the medieval order). Now, Netanyahu and David Horowitz are both known as conservatives, yet they differ considerably on the subject of human nature. The Enlightenment view of human nature relied upon travel narratives, that demonstrated that the material resources of cultures and their modes of exploitation/production that were just being discovered during the period of Renaissance exploration, determined their belief systems: thus was derived “cultural relativism,” a notion that has been resisted by some believers and manipulated by leftist “anti-imperialists” to discredit modernity tout court. The notion of “progress” was a distinctively Western notion that in turn depended on worldliness, science, reason, and the determination to lift up humanity to unprecedented heights. Moderns learned to understand their ancestors, but not to worship them and their mores. With economic and political development, perhaps wars and less cosmic conflicts over land, markets, and resources could be eliminated one day. Freud himself noted that aggression was part of our natures, and often difficult to control, but he would never have agreed with Hitchens on S-M as normal. Part of human nature, in the rationalist Enlightened view that I share, is in the development of curiosity about the past, including those unresolved conflicts that linger into the present to the confusion of our political culture (world-wide), which is highly heterogeneous and internally conflicted. Sadly, the counter-Enlightenment influences remain strong enough to halt appropriate curiosity in the young, to the detriment of the progress that the more advanced parts of humanity still find compelling and swear by. In our New World scenario, the Devil (or the demonic) is a relic of the dead past and his persistence in the belief systems of some political entities and societies should be strongly resisted. Nothing less than the survival of our species and the planet depends upon it. Medievalism was not only bad for the Jews, it was bad for all of humanity. With Bibi Netanyahu becoming more and more controversial, I thought that this blog would clarify why his enemies are out to get him. It is modernity versus the Middle Ages, all over again. We have to look to “human nature” in the way that Darwin, and Marx, did: a river flowing permanently,in wich is impossible to “take a bath” twice in the same waters. This approach is the dialectical materialism of the old greek philosofers from the Aegean Sea,similar to the Zen Buddism from China of the xvi century. Anyway,to attach capitalism to jewishness,this is a common mistake.The source of Capitalism is from the anglo-saxon tradition ,and the Jewish participate in this process because they do not have any other choice,as a People without a Homeland.Marx himself fall in this mistake. As to the question of whether Orwell had a jewish problem, on the whole I think not. He did after all, stand for plain speech and if he had thought the world was being jewified I am sure he would have said as much. He wrote an essay about English anti-semitism; it is many years since I read it, and I can’t refer you to the text on-line. The salient point I would makehere is that it was not a subject he had given much thought to until after WWII. Orwell explored his own contradictions with some frankness in the second part of his book The Road To Wigan Pier, sent to the publisher before he went to Spain, and published while he was there. One of his contradictions was his suspicion of progress. This would have included a suspicion of psychoanalysis, but he does analyse his own visceral feelings about social class and how they have affected his political views. To Caedmon: I will look for Orwell’s essay about English antisemitism. As for “visceral feelings about social class” that is interesting to psychoanalysis but no substitute for it. It is rather a starting point. The same can be said for antisemitism. Having lived here for over two decades, I can tell you, unequivocally, there is a lot of quiet anti-Semitism on the ground here in the UK. Get to know someone and they will open up about how ‘Jews’ are ‘stingy’, ‘good with money’, ‘against the country’, ‘backed radicalism’, ‘stood with their own’, ‘make you walk in the street’ and so on. This is probably the one — and greatest — black mark Great Britain has against her. Be sure that those of other faiths will buy into it.